I promised yesterday that I would write about one recurring dream I had as a small child. If I am honest, it was not one dream, dreamt over and over. It was one place, and one particular image, although the happenings in the dream changed – just as life differs from day to day, even in the same house, and with the same cast of characters. I would often draw an image from those dreams: a really tall lady with cow ears and long hair, who wore a magical geometric necklace. She was much taller than the people around her. In my dreams somehow this cow woman was me. The place in my dreams was green and lush, a paradise by a river. The stars at night were glorious. There was almost always music, and sometimes the music came from me. I sang songs that used sound but no words. When I toned those notes they would vibrate through my whole body. It felt sacred, like I was singing to the sun and the stars. I always awoke from my dreams feeling calm and comforted. After adolescence the dreams stopped. I forgot all about them until one day I dropped a friend off at a meditation centre. Back then I didn’t meditate. I was interested in being normal, invested in being a success in the corporate world. My dreams came rushing back to me. I felt my heart constrict. I knew her face, not quite the same but so close I may have been looking at a sister.The face in the poster looked so like the pictures I had drawn, only she wasn’t wearing her necklace. I asked who the image in the poster was. A Hathor, I was told. I didn’t know what that meant. I felt uncomfortable to ask. I was far outside my comfort zone. I stayed up late into the night, searching the web, and reading everything I could on Hathors. 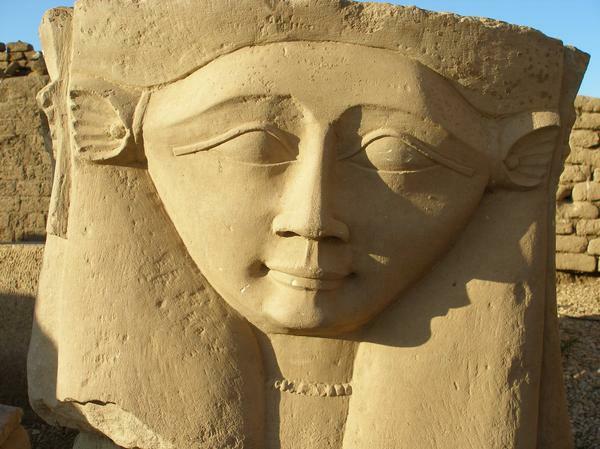 Some sites said that Hathor was an Ancient Egyptian Goddess. But that didn’t feel right to me. I was sure that Hathors were real. Some sites said Hathors were beings who visited Earth but did not originate from our planet. Part of me was horrified. Part of me felt relieved. Part of me felt like I’d come home. It was all so strange. I didn’t know what to make of it, and there was no-one to talk to about it, so in the end I put it aside. Anyway, what would people think? A while later I plucked up the courage and had a necklace made to match the one I had drawn as a child. I knew its design by heart. It took months after I brought it home before I was brave enough to wear it in public. I never told people how I had come by the design, although many people asked me. Looking back, I see how significant wearing that necklace was for me. In fact, I didn’t realise until I was writing this how quickly my psychic gifts developed after that. It was as if I stepped into a contract with myself, or claimed a lost part of me. 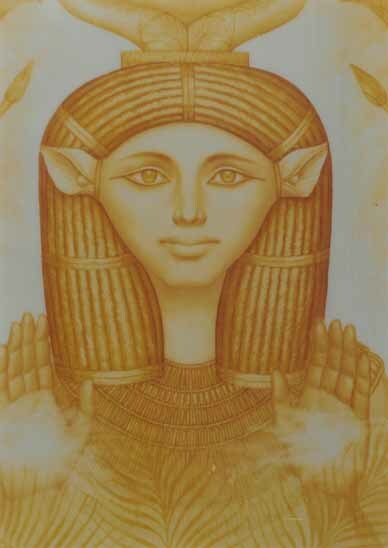 I never see the Hathor in my dreams anymore, but at night, sometimes, I still hear her music.